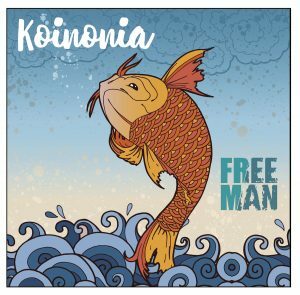 Free Man – Koinonia – Album Review | The Ark of Music – The best music in the world…you never knew existed. Wow. This is a spectacular album. 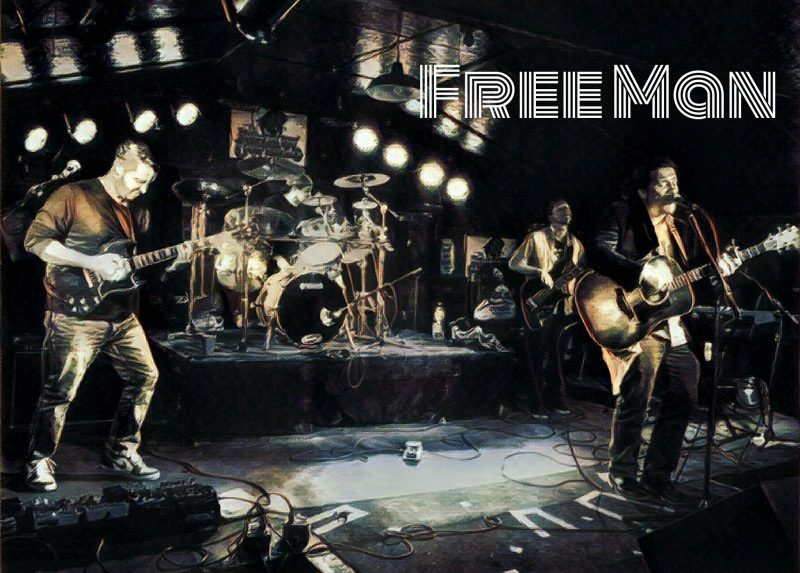 Buffalo, New York’s Free Man, have just released an amazingly rich and complex album reminiscent of 90’s era grunge, but with a refreshingly honest, indie take. The 16-track super-album, Koinonia, is packed with quality songwriting and vocal prowess, as well as crisp, skilled instrumentation and production. The album explodes through the gate with Bashed In Your Brains, an edgy, angst-filled, anthemic ode to living modern life with an awakened mind…perhaps reluctantly awakened. Just when you think you’ve got them figured out, Free Man throws Walking In The Air at you. Reminiscent of Jimmy Eat World’s Got To Be Somebody’s Blues, here, the boys create a smoky, mellow vibe that walks the line between trip-hop and ambient. The organ, the low-key vocals, the production and mix…super great stuff. Walk Away‘s heavy electric riffing, drums and lyrical content play the yang to the previous track’s (Walking In The Air) yin. The instrumental break a 2:40 brings 90’s era Smashing Pumpkins to mind. The first 1:20 of the trippy, psychedelic Decaffeinated Rainbow reminded me instantly of R&B/Soul legend Sade. The track oozes with substance. In a rare showing of radio-ready talent and production, Free Man’s Koinonia is absolutely legit. The sonic ride lasts over an hour, dipping listeners into a chilled-out, psychedelic pool of funk, jam, grunge, and acoustic melodies, which are—dare I say—mostly concerning the big universals: faith and love. I adore a band that not only refuses to pigeon-hole themselves into a particular genre, but also has the skill to pull it all off with mastery. Imagine a lovely combination of Jimmy Eat World, Live (“Mental Jewelry”era), and Goo Goo Dolls, with dabblings of Sublime and Cool For August. 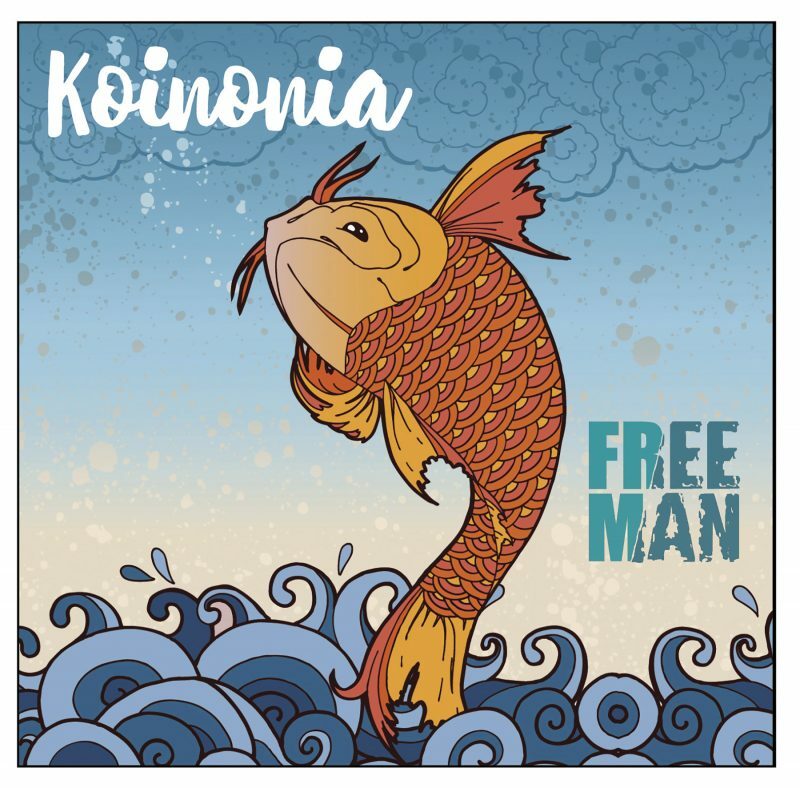 BELOW, you can listen to Free Man’s album, Koinonia, and connect with their website and social media platforms. 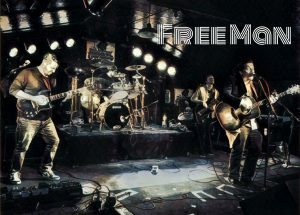 Please support Free Man by visiting them online, and playing, downloading, and/or purchasing their music. And, as always, thank you for supporting real music!